British Airways plans to introduce seven new flights to the East African Community this year, although fears over Kenya's political stability and aircraft delivery could delay the expansion. The rise in the number of flights is expected to heighten competition in regional route, as more airlines launch flights to EAC. 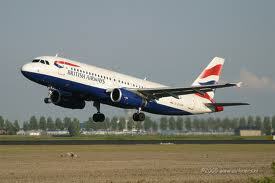 BA will be launching 10 times flights to Nairobi from Europe compared to the current seven. To Tanzania, the airline will have two more flights up from the current three. In Uganda, it will now fly five times. BA plans to re-introduce a bigger plane on its Nairobi route, a Boeing 747-400 it grounded in 2008, to replace the Boeing 777-300 in use. BA's financial results released two weeks ago showed that Africa operations contributed 11 per cent of its operating profits that shot to £518 million ($818 million) in 2011 from £197 million ($311.4 million) in 2010. "We are expecting delivery of 767 aircraft in the last quarter of 2012 for Kenya, Uganda, Tanzania and Zambia routes but political tension is a determinant to our expansion plans," said George Mawadri, area commercial manager East and Central Africa. "As a business, we are worried of the risks in Kenya among them insecurity and uncertainty over the coming general elections," said Mr Mawadri. Political tension has seen the airline withdraw its operations in Zimbabwe and Libya with the latter's flights anticipated to resume in April. Zimbabwe would have to wait for the country's general elections to be held this year. "We need the aircraft first, we can't predict increased performance without having the capacity in place heavily determined by Boeing," said Mr Mawadri. Kenya Airways efforts to boost its business in Europe have stiffened competition on this route to the East African region. "The European region registered the highest growth of 14.7 per cent largely due to introduction of flights to Rome and double daily weekend flights to London," Titus Naikuni, Kenya Airways chief executive said. BA said it was seeking for partnerships in emerging markets to grow its operations and maintain its 2011 revenues and the Far East was a target market, the airline said. Meanwhile, Qatar Airways has launched a flight to Kigali and Doha, which is expected to help grow Rwanda's investments and trade volumes with Asia. The Qatar airline QR 536 flight to Rwanda's capital puts its African capacity up to 132 passenger flights every week across a diverse network of cities. The Qatar Airlines and BA flights come on the aviation industry to compete with regional power houses such as Ethiopian Airlines and Kenya Airways as well as international airlines such as Brussels Airlines and South African Airways.